I adore this salad. 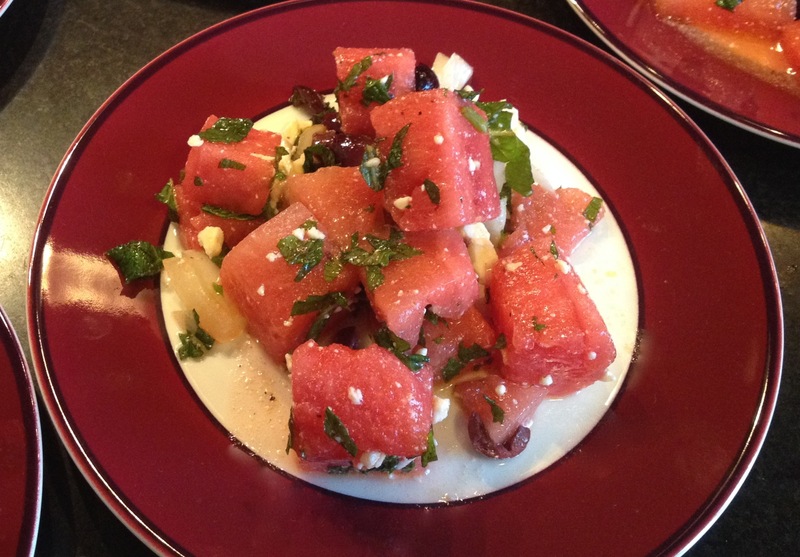 Nothing starts a summer meal better than this Watermelon Salad with Feta and Mint! It’s great to start a lunch or dinner. It’s surprising, refreshing and scrumptious! I love how the black olives tease you to look like seeds but of course, you use a seedless watermelon. The olives are a delicious burst of salty goodness in contrast to the sweet watermelon. I started making this JACQUES PÉPIN recipe (I LOVE his recipes) when it first came out in the June, 2007 issue of Food and Wine magazine. The original recipe says this is for 12 servings but it really worked for just 10 people in our house. It’s easy and relatively fast to make. In the original recipe, Jacques tells you to use a watermelon baller and then throw in the remaining scraps but I prefer my salad to look more uniform so I just cut it into nice chunks. 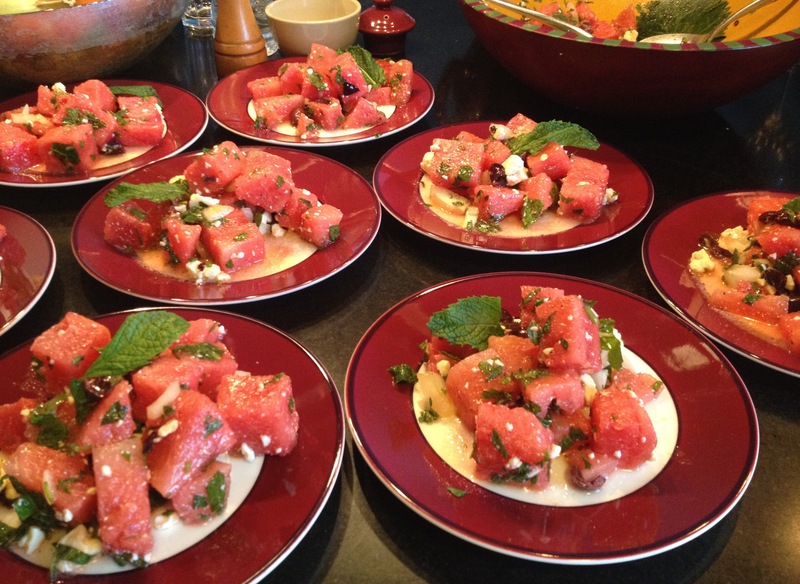 No matter how you cut it, my recommendation is to make this salad now, while the watermelons are ripe, sweet and juicy. Enjoy! And, don’t forget to comment on my Calphalon Skillet Giveaway post for your chance to win one. This giveaway will end tomorrow, Thursday, at noon. Good luck!! !